Internal hole processing is one of the more complex processes in mechanical manufacturing. Usually, its processing cycle is longer and the processing cost is higher. It is particularly difficult to process small and medium diameter holes with lower surface roughness and smaller tolerance of aperture, or small diameter deep holes and larger diameter deep holes. Rolling is the last process used in the finishing of inner holes, and it is an effective measure to ensure the final requirements of hole processing. Therefore, the application of roller burnishing processing is more and more. According to the shape distinction of rolling elements directly contacting the workpiece hole wall in rolling process, there are three kinds of roller burnishing tools for inner hole: wheel roller, ball roller, pin roller. Generally, the wheel roller burnishing tool has the advantages of simple structure, easy manufacture and good rigidity. Rolling deformation area and rolling pressure are usually large, suitable for rolling larger diameter holes. The structure of ball roller burnishing tool and pin roller burnishing tool is slightly complicated. 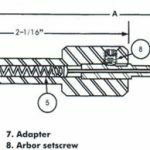 They are generally used for rolling small and medium diameter holes. 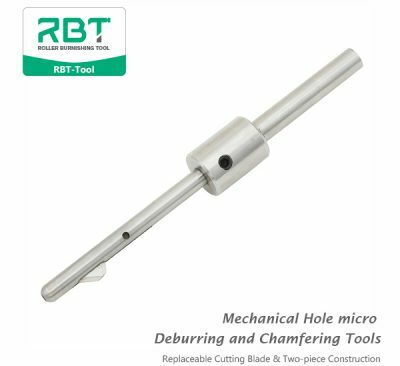 The deformation area of the two tools is smaller, but the rolling deformation area of the roller burnishing tool is slightly larger than that of the ball rolling tool. The materials of rolling elements are usually T10A or T12A steel. The hardness of heat treatment is HRC58-65. GCrl5 and W18Cr4V can also be used. Its heat treatment hardness is HRC61-65, and the rollers are made of cemented carbide directly. Its advantages are high hardness, long life, high efficiency and wide application range. 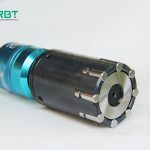 ‏→ السابق How to adjust the diameter of roller burnishing tool?